I’m starting to make steady progress toward my goal of N1. I’m trying to chew threw as many vocabulary words as I possibly can as I make my way through the sheer volume of vocabulary that you have to know in order to pass. I’m still primarily using StickyStudy’s N1 list and I’m making pretty good progress so far (currently at 18%). What is really refreshing is that about half the words I don’t know in Mr. Itoi’s ほぼ　are words that are on the N1 list. This seems to bust the myth about N1 containing only useless vocabulary that is often not used. There actually numerous words that have come in handy from the list that I found in the book. I have also finally broken down and started my N1 book buying. Whenever I prep for a certain level this seems to become an ongoing affair where I’ll first start off with a grammar book or two and then simply keep buying a new book every 2 months or so until I finally pass the test. I feel like for the N1 level, I’m going to be doing much the same thing. 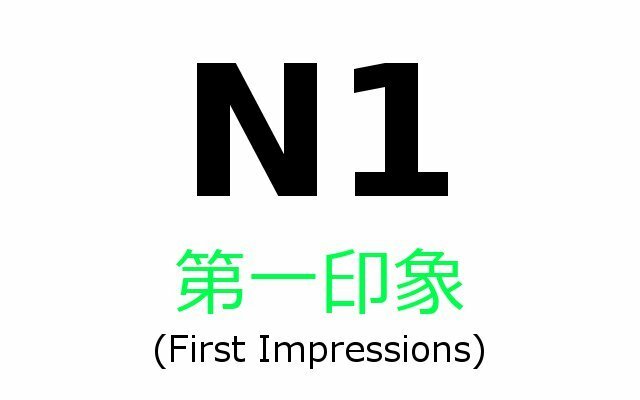 When I first starting taking the JLPT, I never thought I would make it to the N1 level. It just seemed to be that big pie in the sky dream that I would never achieve. Or I would need to major in Japanese in order to reach such a goal. But, here I am taking the first steps toward trying to absorb the vocabulary I need. I starting to realize though that the N1 is pretty much any level of the test. You just have to digest the material, go over it and drill it until you know it by heart. And it is exciting at the beginning of this process because you are absorbing so much new material and discovering new ways to say things. I also get to try out different techniques to see what helps me to retain the information the best. In this episode, I thought I would go over my early impressions of what the N1 material is like. I’m finding out that passing the N1, isn’t as bad as most people think it is. It’s definitely going to be hard, but it is definitely going to be manageable. Some of the N1 vocabulary I’ve picked up before in my reading of native materials. This is great validation for all the hard work you have to put in to read through a book. It is also such a great feeling to encounter a word that you have seen before. Because you can just skip over it and not have to deal with all the hard work of learning the word. Some of the N1 vocabulary appear to be what we would call in English ‘phrasal verbs’ or ‘two-part verbs’. Basically verbs made of two words like ‘pick up’ or ‘turn off’. In Japanese, these come in the form a verb that is two verbs glued together. One I encounter the other day is うけいれる or 受け入れる. You might recognize the first part as 受ける – to receive, and the second part as 入れる – to put in. Together, these two verbs make one verb 受け入れる, which has a basic meaning of ‘to accept’, but this meaning is more like to accept something mentally (like a truth or someone’s values) more than a physical object. I fear that it is going to be these small little nuances that the test will drag out and test us over, but hopefully with plenty of reading practice and a good amount of vocabulary drilling I can sail through these tricky vocabulary words. One relief is that there are a lot of katakana words for the N1 level. I guess these are introduce at this level because they aren’t used so much and would be considered difficult for non-English speakers. For English speakers of course this seems to be a free pass. Woo Hoo! N1 grammar doesn’t seem to be too alien so far. There are a lot of expressions that use particles that are pretty familiar, things like ぐらい,　こそ、まで… but assembled together in more complex ways. A lot of these phrases can be replaced by other simpler phrases, but the N1 phrases are stiffer and more formal sounding. There appears to be a significant amount of written only grammar and not a lot of new spoken grammar. There are a few familiar grammar patterns from N2 with some different new nuances to them as well. This seems to be pretty typical for every level. There is always a little overlap with the grammar drill books just so everything is covered. There is definitely a good chunk of stuff that I have never seen before in my reading practice or otherwise. And there is a handful of stuff that I’ve asked native speakers about and they swear they’ve never seen it, so maybe it only shows up in very formal writing? If you are studying for the N1, or have taken the N1, what were your impressions of the vocabulary and grammar? Let me know in the comments below. i have still my problems with the phrasal verbs because they don’t like… REALLY translate, i think. it’s also difficult to guess which of the action of these verbs are the ones which you do “first” oder “mainly”. but i wish you good luck with your efforts! I just recently pass the N2 and planning to take N1 in December. I do not have enough time to study in order to pass N1. However, I am working as interpreter/translator. My weakness is in reading comprehension. Please give me some suggestion to increase my reading comprehension. Working as a translator you are probably getting a lot of reading practice, but I’m guessing not a lot of advanced ‘everyday’ vocabulary. It’s probably best to pick up a collection of essays (随筆) to read through. This will help give you a feel for the kind of ambiguous language that the reading passages on the JLPT are famous for. I also always highly recommend the New Kanzen Master Series. They are tough tough books, but they will make you tough enough to pass the exam. After passing the N2 level last Dec, I was thinking of taking the N1 exam this year. But after reviewing the Kanzen Master series book on N1 vocabulary, I realized there’s a lot of vocabulary words that I don’t even know. So, I think I’ll have to work on this first before trying the N1 exam. What kind of native speakers are you asking? “Native” does not mean “accomplished reader” or “eloquent writer”. I’m engaged to a native Japanese woman, and my kanji knowledge definitely surpasses hers. Like, by a long shot. I know a lot of Americans that don’t read anything at all. They are native speakers of English, but that’s about it. They couldn’t read Shakespeare. There’s a litany of words and figures of speech that are abundant in literature from a hundred years ago but never used nowadays. So, I suspect that the rarity of a given vocabulary item merely depends on what kind of reading you like to do. I have to agree with a lot of what you are saying, but I guess the point is that if this college-educated native that is holding down a decent job doesn’t know, then why do I, as a second language learner, need to learn it to qualify for N1. The N1 opens a lot of doors for job interviews and such and tends to be the gold seal of approval for ‘knowing’ Japanese, so I think the JLPT goes a little overboard in this regard. It would almost be more useful if there were more vocabulary and expressions on the test that were useful in everyday life and a few dialectal differences to give it a little variation. Of course that would make it a lot more difficult too. I mean since when do I need to be an accomplished reader of philosophy to hold down a sales rep job? or even do translation? I understand the need to be exposed to several different nuances of the language in case we bump into them, but as part of a big standard test as this? That is arguable. This would be great stuff in an academia-geared version of the JLPT. Something that would include non-joyo kanji as well. Wish you all the best, passing N1, but I am sure you will. But one question, about which book are you writing about? StickyStudy’s N1? Ty for your answer in advance. I’ve been using the So-Matome N1 Grammar book to study grammar with. I’ll probably move on to the New Kanzen Master series after the test though. NKM is more difficult and contains a lot more strategies, whereas So-Matome eases you into the grammar.